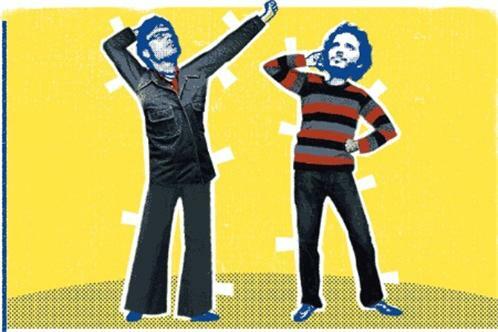 Bret and Jemaine first met in 1996 at Victoria University Wellington. Jemaine vividly remembers the first time he met Bret; he was wearing a hat. Bret doesnt remember meeting Jemaine, but says it was unforgettable. They were both acting in a University Drama Club production called Body Play. Bret and Jemaine were put in a group of five men to create a short theatrical piece about male body issues. The most memorable part of the show was the costumes. They wore nothing but skin coloured bike shorts giving the audience the illusion that they were naked.